A husband and wife were yesterday remanded to prison after they were read firearm, ammunition and narcotics charges in a city court. 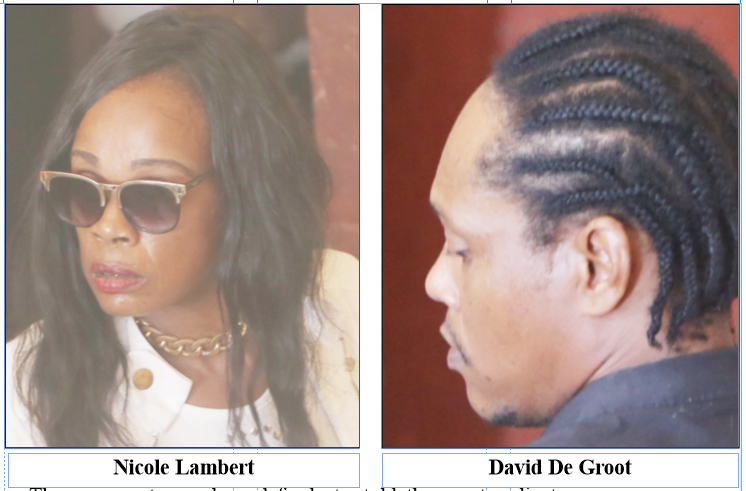 David De Groot and his common-law wife Nicole Lambert, both of Lot 7 Craig Street, Campbell-ville, Georgetown, were read five charges by Chief Magistrate Ann McLennan in Georgetown. The first charge stated that on January 24th, at Craig Street, Campbell-ville, Georgetown, the defendants had a 9 mm Glock pistol without being the holder of a firearm licence. They were also read three ammunition possession charges. It was alleged that they had 35 7.62 x 39 mm rounds without being licensed firearm holders. It was also alleged that the defendants were in possession of 13 9mm rounds, while another charge stated that they had eight 12-gauge cartridges. The final charge read to the accused stated that they were in possession of 304 grammes of cannabis. De Groot and Lambert denied all the charges. Police Prosecutor Gordon Mansfield told the court that a party of police, acting on information, went to the couple’s home and found three bulky parcels in the ceiling of the washroom. One parcel contained a quantity of leaves, seeds and stems, suspected to be cannabis, another contained live ammunition and the third had a suspected 9 mm pistol, with two magazines. 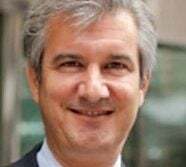 The prosecutor, who objected to bail, noted that De Groot told the police that a friend of his, identified as “Short Man,” left to go overseas and had given him the items. Attorney Patrice Henry, who represented both defendants, told the court that there was no evidence connecting his clients to the illegal items. He added that the ceiling had to be broken open in order for the police to find the items. As a result, Henry requested reasonable bail for his clients. However, the magistrate refused bail and remanded the couple to prison. Their next hearing is slated for February 14th before Magistrate Fabayo Azore in Georgetown.